Once you get past the knee-jerk nausea that comes with yet another shared cinematic universe and actually absorbs the details, Hasbro’s planned multi-property multi-film project is actually surprisingly interesting. The toy and board game company’s Allspark Pictures film label and Paramount Pictures have assembled an impressive creative team to forge an interconnected onscreen universe for the G.I. Joe, Micronauts, Visionaries, M.A.S.K. 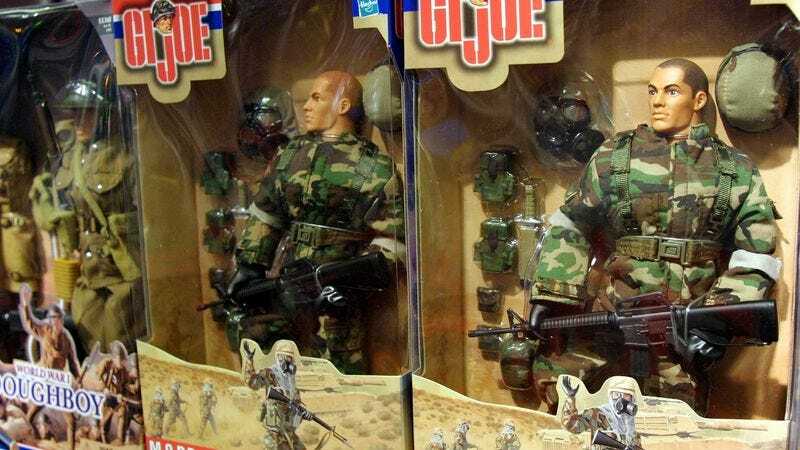 (Mobile Armored Strike Kommand) and ROM toy lines, according to The Hollywood Reporter. Among the many accomplished creators who will be meeting on the Paramount lot starting Monday of next week are Michael Chabon (Pulitzer Prize-winning author of The Amazing Adventures Of Kavalier & Clay and co-writer of Spider-Man 2), Brian K. Vaughan (Eisner Award-winning creator of Y: The Last Man), and Nicole Perlman (co-screenwriter of Guardians Of The Galaxy). Akiva Goldsman will be presiding over the writer’s room and making sure that the Spaceknight ROM doesn’t get forgotten. Also on the creative team are Luke Cage showrunner Cheo Coker, Joe Robert Cole (Black Panther), John Francis Daley and Jonathan Goldstein (Spider-Man: Homecoming), Jeff Pinkner (The Dark Tower), Lindsey Beer (Kingkiller Chronicle), Geneva Robertson (Tomb Raider), and Nicole Riegel (Blacklist screenplay Dogfight).